Over the last several years, there has been a huge push in understanding and identifying Attention Deficit Disorder (ADD) and Attention Deficit Hyperactivity Disorder (ADHD). However, this push has been met by much skepticism by both the general public and some scientific circles. Even now, there are still some people who believe both of these disorders are either fake or not real disorders. Some people even go as far as saying, ADHD is a conspiracy by pharmaceutical companies to push more drugs on consumers. According to the Centers for Disease Control and Prevention (CDC), in the last decade, ADHD diagnosis in children have been on the rise from 7.8% in 2003 to 11% in 2011. That’s roughly 6.4 million children affected by ADHD in the United States alone. ADHD symptoms in adults are also a common occurrence, it’s believed 4% – 5% of U.S. adults are affected by ADHD, but many adults go undiagnosed, so the actual number of adults with ADHD is hard to pin down. First of all, ADD and ADHD are real mental disorders. Everyone from the Surgeon General and the CDC to the National Institute of Mental Health and U.S Department of Education Research agree, that it is a neurodevelopmental psychiatric disorder. Attention deficit disorder has gone through several name changes over the years. ADD was first coined in 1980, but then changed to ADHD-PI and ADHD-I in 1994 by the Diagnostic and Statistical Manual of Mental Disorders. ADHD is now broken down into 3 different categories: Inattention, hyperactivity and impulsivity. Unattention is typically described or seen as someone who is easily distracted or someone who has a short attention span. Being easily distracted and having a short attention span are two different symptoms, but it is often seen as being the same. Being distracted is about the ease in which someone can be taken off a task. Whereas attention is considered a multi-step processes: Focus, selection, sustainment, resistance, shifting. Someone can be distracted before even beginning to pay attention to the task at hand. Hyperactivity is usually the easiest and most identifiable sign of ADHD, but also the most easily misdiagnosed sign. Children with hyperactivity are usually seen as “full of energy” and in adults hyperactivity is normally seen as restlessness or constant fidgeting. Impulsivity is taking action without thinking is another sign. Adults can be impulsive about their evening plans, but impulsivity is about being unable to delay gratification. This can came in different forms like interrupting others or what could be seen as unnecessary risk-taking behaviors. It is possible to have one, all or a combination of these three main symptoms. Over time, these behaviours can change and signs of ADHD in adults can differ from ADHD in children. For example, ADHD in an adult can lead to depression, whereas a child is less likely to develop depression from ADHD. ADHD can affect anyone from any background, race or creed. However, it has been found that boys are diagnosed with ADHD two to three times more than girls. Some children diagnosed with ADHD, can actually grow out of it and live a normal life. However, about 60% of diagnosed children will carry ADHD into adulthood. At the end of the day, ADHD is a mental disorder, that can interfere with one’s daily life through a variety of different symptoms. It’s not to be taken lightly and the earlier ADHD is diagnosed and treated, the better for the patient. ADHD or ADD symptoms in adults or children can be very tricky to diagnose. For the most part, all children will be inattentive, hyperactive or impulsive at some point, that’s just being a child. A child showing these signs doesn’t necessarily mean they have ADHD, it can just be a phase in their development. Symptoms of adult ADHD can also be difficult to diagnose, because they are often more subtle and overlooked or dismissed by others. Adults also have more complicated lives than children and a variety of factors could be playing a part in the symptoms of ADHD, but not actually be ADHD. For example, anxiety can be a symptom of ADHD, but it can also be a symptom of a dozen other disorders. Procrastination is another symptom almost every adult has faced or is facing, but it doesn’t mean they have ADHD. The biggest problem with ADHD is, there’s no definitive way to test or detect ADHD in children or adults. This is why there are so many non-believers in the disorder. All ADHD diagnosis are completely based on evaluations with no real concrete evidence to back up the diagnosis. Since there’s a variety of other conditions that have similar symptoms of ADHD, it’s a common occurrence to be misdiagnosed with ADHD. There’s also no known cause of ADHD. There is some scientific evidence that suggests ADHD may be genetic, but the evidence leading to this conclusion is still under scrutiny. There needs to be more tests conducted before any confirmation can be made on such a claim, however, this avenue looks promising in better understanding ADHD. Some people believe ADHD is a symptom of external factors, instead of genetics. For instance, too much TV, poor parenting, poor teaching or too much sugar can cause ADHD. While giving a child too much sugar could be a cause of hyperactivity, it doesn’t necessarily mean it triggers ADHD in children. None of these claims have ever been verified scientifically and most of the scientific community dismisses these assumptions. What we do know about ADHD is that, during pregnancy, tobacco and alcohol use can increase the chance of developing ADHD in children. Very low birth weight, premature delivery and injuries to the brain can also affect the development of ADHD. Those who suffer from ADHD also have less activity in specific regions on the brain, specifically those regions that control attention. There are also no known cures or preventative measures for ADHD. Many adults with ADHD find it hard to carry out some daily activities, which can impact both their professional and personal lives. How ADHD affects an adult, is largely based on how severe the symptoms are. Some undiagnosed adults have suffered a symptom or two their entire lives and have learned to cope successfully. Other undiagnosed adults may feel they have something wrong with them and not even consider ADHD as the cause. It should be known that every adult affected by ADHD, also had it as a child, whether it was diagnosed or not. Even if you suffer from some of these afflictions, it doesn’t necessarily mean you have ADHD. To know if you have adult ADHD, you may need to go through several different examinations. The first is a physical examination by a doctor. It is possible that a blood test may need to be run, so that any other possible medical condition can be ruled out as a cause of your symptoms. Most experts will agree that ADHD doesn’t develop in adults suddenly. You’ll need to be forthcoming about your family’s health history as well as yours. You’ll also need to recall details about your childhood and possibly your grades. If you’ve never had any major problems as a child, chances are that you don’t have ADHD and your symptoms are being caused by something else. 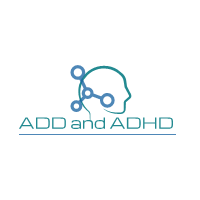 To even be considered having ADHD, the symptoms you suffer from must have originated between the ages of six to twelve and occur in multiple environments like work, home and school. The symptoms must also be long term, lasting at least six months. A psychiatric evaluation is also a recommended procedure. It can help determine whether you possibly have other psychological or emotional problems, that may be manifesting themselves in the symptoms you have. Luckily, ADHD symptoms in adults can be managed by most people. There are multiple kinds of medication that can be prescribed to help control impulsiveness, hyperactivity and increase attentiveness. There’s also psychotherapy, that some people can find very helpful in controlling their symptoms. Since there are so many different symptoms to ADHD, a combination of prescription drugs and counselling is often the best way to cope with ADHD. However, counselling doesn’t work for everyone and anyone suffering from ADHD can have their own personal methods of coping that are unique to them. Depending on the severity of symptoms, a support system of friends and family can also have a great effect in dealing with ADHD symptoms. ADHD is not a life threatening disorder and many people afflicted by ADHD can still live happy and successful lives regardless of the symptoms they may exhibit.